If all cotton fabric is important to you when it comes to your dress shirts, you may have heard of the new designer and sensation Steven Land. Steven Land makes dress shirts that have quality,style and all cotton fabric to make a dress shirt that will have you looking simply stellar. It's something that can be achieved just by adding some to your wardrobe. 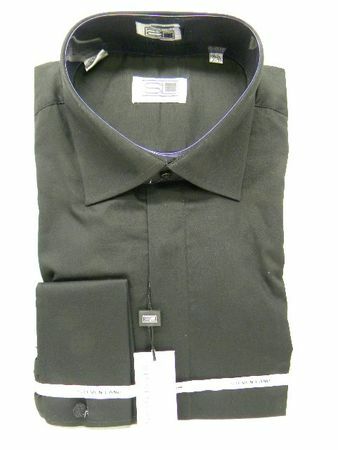 This Black Steven Land Dress Shirt features a Spread Collar to Show off Your Big Knot Tie, Hidden Buttons and French cuffs. Don't forget to get yourself a Steven Land Big Knot Ties. It's style you can't ignore. See More Steven Land Shirts Here.